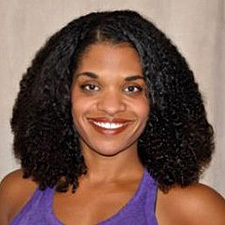 Jennifer Turpin Stanfield, M.A., ACSM EP-C, is a professor in the Department of Health and Human Performance at Central State University in Wilberforce, Ohio. She is an ACE Certified Group Fitness Instructor, registered yoga teacher and a national presenter for NETA. Jennifer has more than 17 years of experience in the health and fitness industry and is passionate about helping others live healthier lives through the adoption and maintenance of positive health behaviors. Physical activity is essential to physical health, but exercise can also help improve kids’ body image, reduce feelings of stress and anxiety, and lead to improved health behaviors. Read on to learn more about how physical activity can be a powerful tool for teaching kids to love their bodies. February is National Heart Month. You’ve probably heard that a comprehensive exercise program should include three types of training: aerobic exercise, resistance exercise and activities to improve flexibility. But what role does each type of exercise play in reducing your risk of heart disease? Read on to learn why all three are important in building a healthier heart. Exercise is key in both the prevention and management of diabetes. Here are four important considerations for designing safe and effective exercise programs for clients with diabetes. Diabetes rates have skyrocketed in the past two decades and it’s only getting worse. Learn more about this disease and how you can reduce your risk of diabetes. Have you considered using power training with your active aging clients? Although it’s not appropriate for every client, many active agers can benefit from this type of training, particularly in terms of their ability to perform activities of daily living. Here are a few tips to begin incorporating power training into senior fitness workouts. Self-efficacy is the belief that one is capable of achieving a specific goal, and is one of the biggest predictors of exercise adherence. Here are three things you can do to help new clients build self-efficacy for exercise. 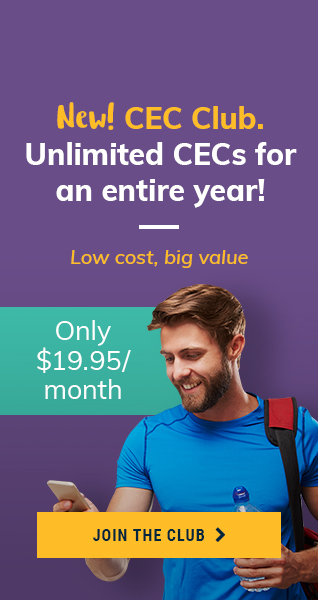 You’ve passed the group fitness instructor (GFI) exam—proof that you have a solid grasp on the technical and theoretical skills you will need to succeed as a GFI. Now it’s time to build your confidence and practical skills. Here are six tips to help you get started. As a health and fitness professional, you know that mind-body exercise is a great complement to any fitness program, but how can you get your participants to buy in? Here are five ways to incorporate mind-body exercise into any group fitness class. Research confirms that both static and dynamic balance play a critical role in keeping us active and injury-free. Here are five TRX exercises you can use in your group fitness classes or with personal-training clients to help improve balance. If flexibility training is not currently part of your fitness program, you can enjoy the benefits of this type of training by incorporating just a few stretches at the end of your exercise session. Here are three effective stretches to get you started. If you’re like most Americans, you spend a majority of your workday sitting in a chair. Unfortunately, a growing body of research has linked prolonged sitting to a long list of health issues, including lower-back pain and an increased risk for cardiovascular disease and diabetes. But here’s some good news: You don’t have to make dramatic changes to your work schedule to combat the hazards of sitting. 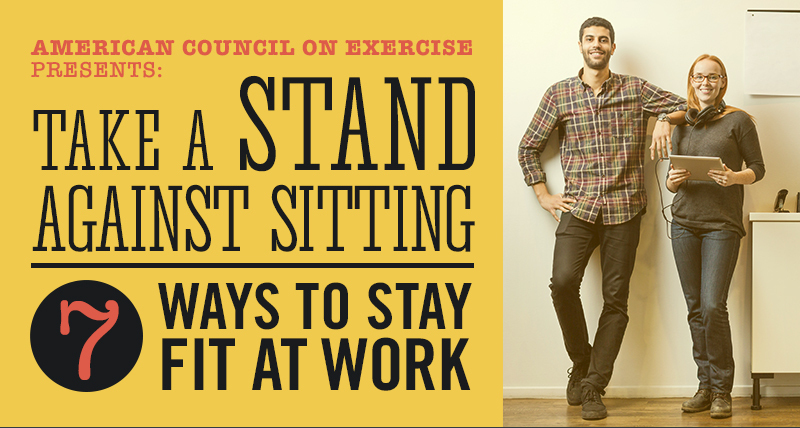 Here are seven tips for increasing physical activity in the office. Yoga is so much more than a physical practice; it is also a way to bring strength, balance and resilience to the emotional and spiritual parts of ourselves. One of the reasons why yoga makes us feel so amazing is that it gets the energy flowing through our bodies. And with a little know-how, we can choose poses that activate different energy centers (or chakras) in the body. Since it’s February, we thought it would be a perfect time to focus on opening the heart chakra, or anahata. When it comes to preventing heart disease, there are some risk factors we can’t control, such as age and family history, but there are a number of things each of us can do to lower our risk. Number one on the list: regular physical activity. Read on for 10 ways exercise helps to protect your heart.